Categories: Boots & Waders, Fishing Apparel. Pilot II guide DriPore Gen 2 waterproof fabric with > 15,000mm waterproof and >10,000 mvtr breathability. Fully taped and sealed seams. Features: vented, removable hood. Internal adjustable wrist gaskets. Beefy #8 chest zipper. 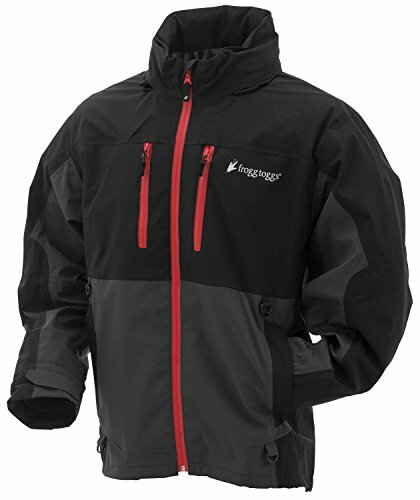 New, insulated liner retention system (co-pilot insulated puff jacket and vest liner sold separately). new, larger internal dry-storage pocket. Teflon DWR coating. Multiple accessory D-rings. E-z push hood and hem cord locks. Zippered, external chest storage and hand-warmer pockets. model: Pf63161.